The last full moon of winter. We are in one of those not quite this, not quite that times of year. The geese and the horned larks are back. I’ve seen robins and juncos and gulls — at least I did before the most recent flurry of wet snow a few days ago. This isn’t the starvation moon of deep winter but it is a difficult time for all creatures at the mercy of the weather. 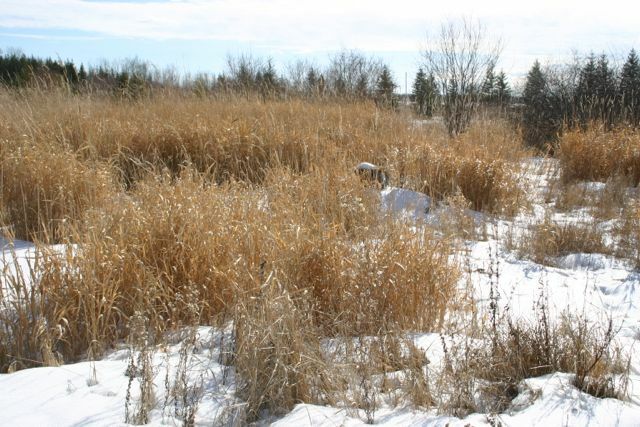 Not much is left of winter food stores, nothing is growing yet, and the ground is still frozen. The wet and windy weather of early spring is hard on old bones and newborns. 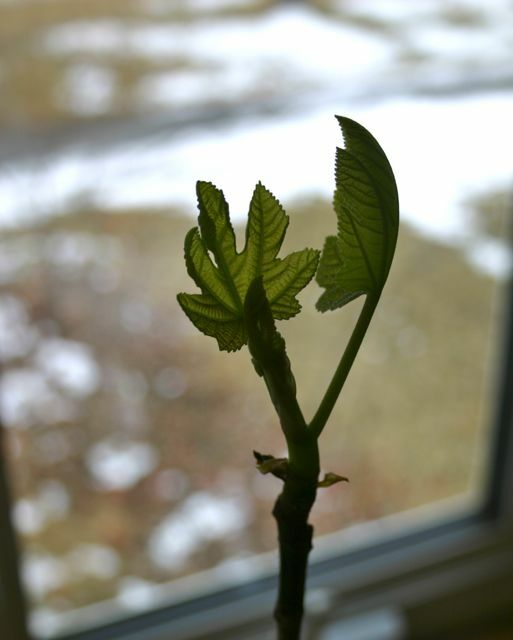 But the crows are calling, the sap is flowing, and the days continue to lengthen Inside the house overwintered perennials are slowly opening new leaves. Beyond gathering food and firewood in autumn, now I have the pleasure of laying in supplies for the winter season of dyeing, too. 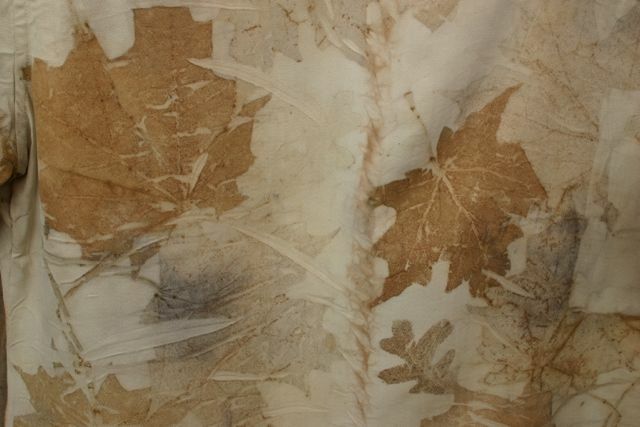 I was so pleased to find that dry leaves, with no special preparation, can provide wonderful prints after a good soaking. 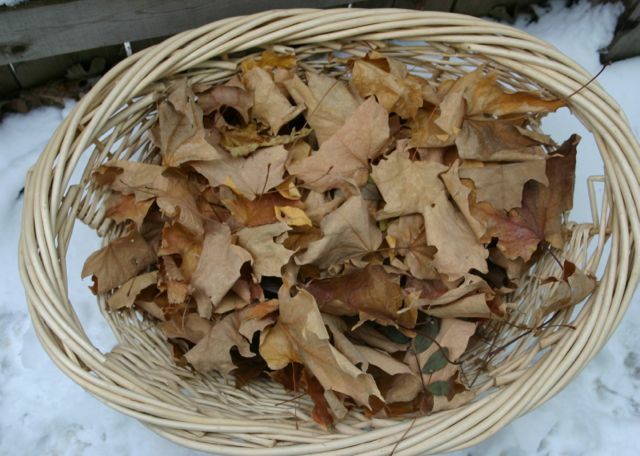 Some of my best results this winter came from fallen leaves I collected and stored in an open basket. There are still some bags of unidentifiable organic material in the fridge that I believe to be leaves that were not quite dry when gathered. Note to self — use those first next winter. I haven’t thrown them out yet though. I might still see what could come of them in a dye bundle. Hopefully some colour, even if they have lost their original shape. For many reasons, I do want to use local materials when dyeing. It grounds me in my own little corner of the earth. The process has minimal environmental impact. The results tell a story of water, earth and plants unique to this place. Still, I’m not sure I will ever give up eucalyptus completely! 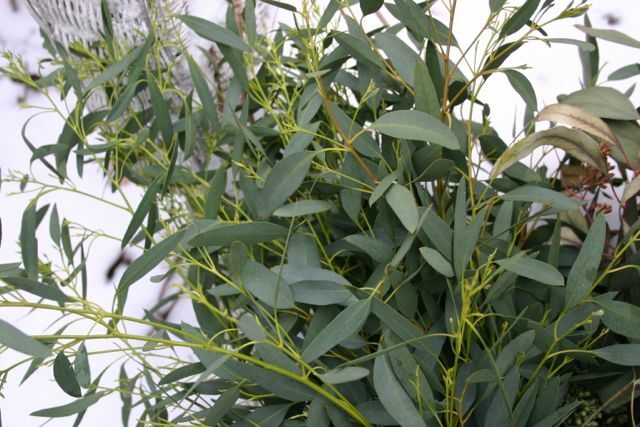 I have one eucalyptus plant that has survived the winter indoors and with luck will be harvesting leaves from it this summer. In the meantime, I am happy to make the occasional trip to the florist for some imported greenery. This lovely bundle should see me through until the neighbourhood turns green again. We didn’t get much snow this winter, and spring temperatures are coming early. It’s time to say farewell to the muted colours of winter, at least outside. I find I am increasingly drawn to these calm neutral colours. Partly this is a result of searching through thrift store racks for clothing that will make a good canvas for printing. My eyes skim over all the bright colours, looking for a nice pale silk blouse or a shirt in ecru linen. I have become more appreciative of a subtle patterned weave in a fabric, or a wee bit of lace trim. This is a good outlook to have here on the edge of the prairie, where the beauty of the landscape is often found in leaves of grass or the shape of a lone tree against the sky. 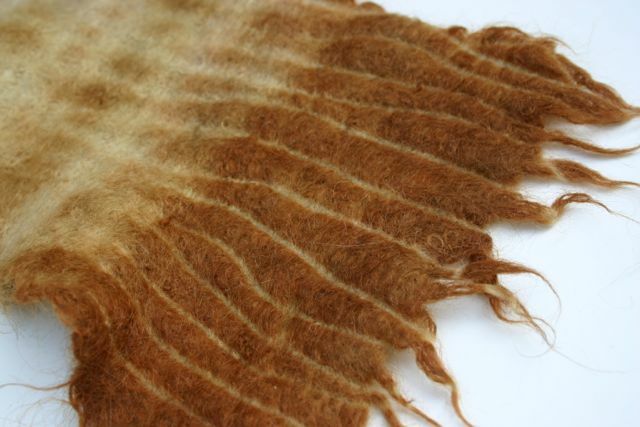 This wool scarf was dyed in an onion skin bath. I love how the string lines from bundling it up created this topography in the fabric. A little bit like paths of snow through a field of tall grass. 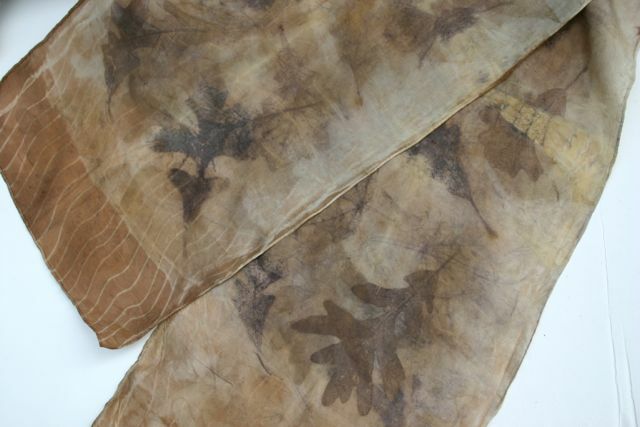 I was pleased with how the oak and maple leaves printed on this silk scarf, and with the overall shades of taupe colour effect. I have been looking at the work of Yoko Saito and admiring her inspired use of “neutral” colour schemes. In her book Japanese Quilting, Piece by Piece she discusses the historical significance of these colours in traditional Japanese fabrics. Her description of taupe as “a subtle mixture of grey and brown … an extremely versatile colour” really made me smile. Ah! That explains the colour of some fleeces I have been looking at over the winter, in pleasant debate over how to define the colour. 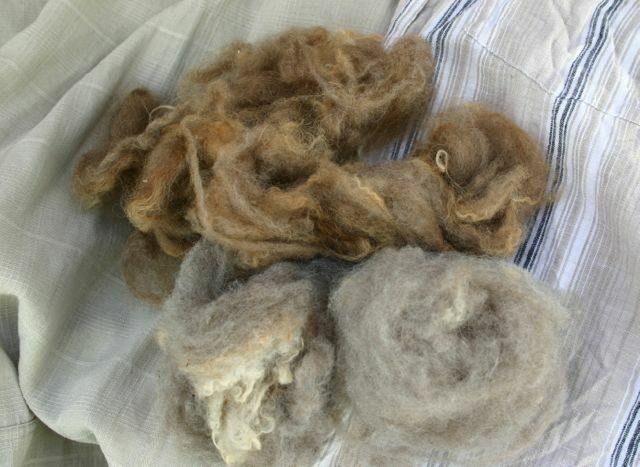 “Taupe” will never be on the official list of Shetland sheep colours but the idea of a mixture of grey and brown is very useful for me when contemplating sheep colour genetics. Linen / cotton shirts, fleece samples from Dash, Ava, and Kir. Of course, sometimes it is more fun just to watch the sheep themselves. No wonder I love neutral colours when they come in a beautiful package like this. 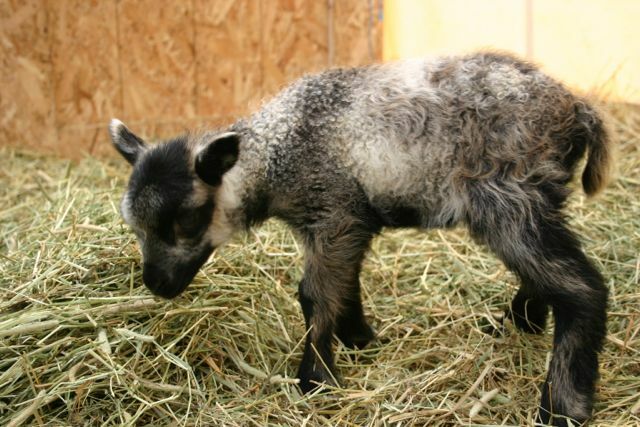 This is Daisy, back in the spring of 2013 when she was just a couple of days old. Lambs are due in early May this year. What colours will 2015 bring? Whatever the shade of sheep, we know it will harmonize perfectly with the green grass of spring.